Declare independence from lackluster bar sales. 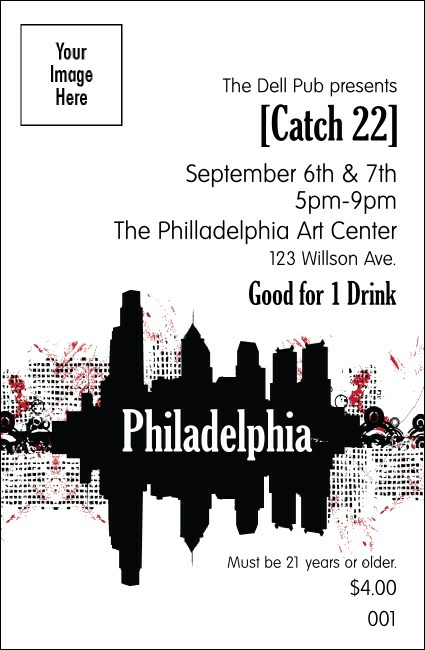 Enjoy libation with representation when you choose a set of Philadelphia Drink Tickets that lets you upload your own or a sponsor's custom logo right to the ticket. Individually numbered for security, drink tickets help you sell more drinks, in advance, and keep track of your revenue. TicketPrinting.com offers local Event Kits for your city.